Mix the egg, milk, and cinnamon. Soak the bread for about 15 seconds each side. Cook on a buttered pan. 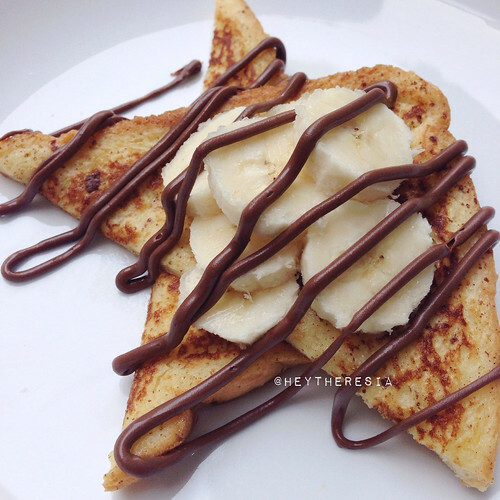 Serve with sliced banana, nutella, and honey if needed.